Welcome to the National Celiac Association (NCA) monthly e-newsletter. Sent out the first week of each month, this e-newsletter contains up-to-date information about product recalls, scientific updates, recipes, events and more! We hope that you find this monthly e-newsletter to be valuable, and welcome your input for future issues. 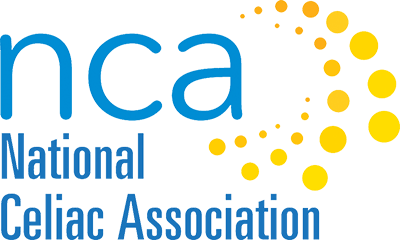 NECO Goes National and becomes the National Celiac Association! 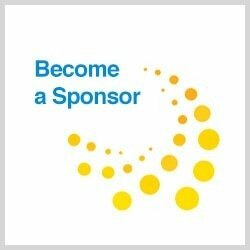 With the recent dissolution of Celiac Support Association, NCA has acquired their membership and the Recognition Seal Program that has enlarged the scope of our Boston based group. 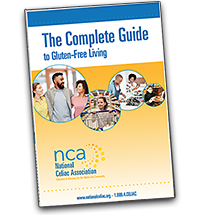 NCA is dedicated to the mission of educating and advocating for individuals with celiac disease and non-celiac gluten sensitivity, their families and communities across the nation. NCA draws on the expertise of Harvard-affiliated teaching hospitals for its Medical Advisory Board and has a track record for evidenced-based support and professionalism. Our grassroots outreach hasn’t changed in the 24 years we have been serving the celiac community. The Gluten-Free Foodbank (GFFB) is a pilot program started in Eastern Massachusetts which provides gluten-free food assistance to individuals who have a medical need for gluten-free food but who struggle to afford the diet. Since its inception last September, over 2500 lb. of food has been delivered to the those in need. Learn more about the GFFB here. A recent survey conducted by the GFFB found that while the known number of gluten-free individuals seeking food assistance is generally low, few food pantries actively seek to identify specific dietary needs of clients. Therefore, individuals with a medical requirement for gluten-free food could go unrecognized. Many food pantries ‘keep back’ supplies of specialized gluten-free products for those with a specific need, but at the same time lack a process for identifying who those people are. This means that even when available, gluten-free products are often not obvious enough to prompt those with a need to ask for them. The possibility that clients requiring gluten-free food assistance are being “missed’ by food pantries is particularly concerning for two reasons. Firstly, the high cost of gluten-free food places an additional financial strain on households who have this medical dietary need, meaning they are even more in need of assistance. Secondly, it is possible that the combination of the high cost of gluten-free food and the lack of awareness of gluten-free food assistance could lead to non-compliance with the diet, potentially with damaging health effects. As a result of this survey, The Gluten-Free Food Bank is asking that all food pantries directly ask clients whether they have any specific dietary needs, such as a medical need to eat gluten-free. Furthermore, GFFB suggests that the availability of gluten-free food assistance is promoted more strongly so that those in need know to request GF products. Visit the event calendar on our website to see what events are happening in your part of the country. Know about an event that we don’t have on the calendar? Please let us know so we can share it with others! 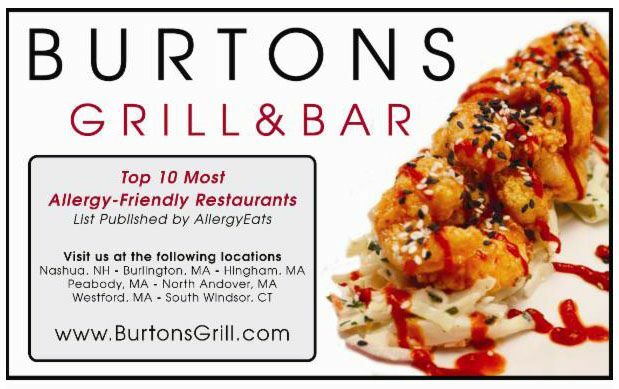 Did you know that we maintain a directory of restaurants where you may be able to dine out safely? Help us to expand the directory by adding your favorite GF friendly restaurant here. Remember you are your own best advocate and must take care to ensure that the kitchen staff understands your needs. NCA members, you may wish to log in to the member area of the website to review the Dining Out Information. Beyond Celiac has Celiac Straight Talk podcasts titled the Elusive Celiac Disease Diagnosis and Cheaters: Walking Away from the Gluten-Free Diet. Canadian Celiac Association is hosting a webinar titled Understanding Gluten Labelling in Canada on May 17th. Click here for more information or to register. The Celiac Project has some new podcasts which you can listen to. Gluten-Free The Definitive Resource Guide by Shelley Case, Dietitian. 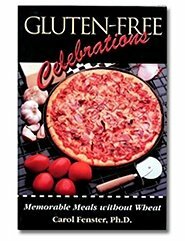 This month, you can win a copy of Gluten-Free Celebrations Memorable Meals without Wheat by Carol Fenster, PhD. To enter, simply send us an email with your name and mailing address by June 17. Digestive Disease Week took place in early May. Visit the DDW website to learn more. Visit the DDW blog to read news from the meeting, watch TV interviews and listen to podcasts. Glutenfree Watchdog posted daily articles concerning celiac disease and the GF diet during the month of May in honor of celiac disease awareness month. Review the posts here; there is something of interest to everybody! The Scientist magazine recently published an article titled The Celiac Surge. 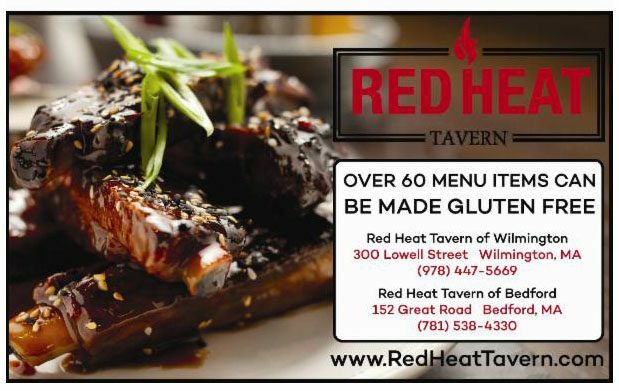 The Columbia University Medical Center published this article titled Dietary Gluten is not Linked to Heart Risk in Celiac Disease. Live Science published an article titled Celiac Disease Linked to Higher Risk of Pneumonia recommending that people with celiac disease get vaccinated against pneumococcal infections. An article about ImmusanT’s Nexvax 2 vaccine is titled Phase 1 clincal studies reveal safety, tolerability of therapeutic vaccine in celiac disease patients. Here is an article titled Celiac Disease’s Millenia-Long Rise to Prominence with a slide show featuring Dr. Alessio Fasano. NPR has an article titled Doctors Once Thought Bananas Cured Celiac Disease. They Saved Kids’ Lives – At A Cost. 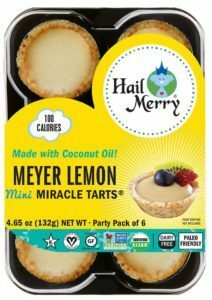 Hail Merry issued a voluntary recall on their Meyer Lemon Mini Miracle Tart Party Pack of 6 due to a labeling error. The products do contain cashews as listed on the “Ingredients” label, however the “Contains” allergen statement does not specifically identify “Cashews.” People who have an allergy to cashews run the risk of serious or life-threatening allergic reaction if they do not read both the “Ingredients” and “Contains” statements and then consume the products. Consumers who have purchased these products are urged to return them to the place of purchase for a full refund. For further information, see the FDA recall. Contact Hail Merry at 214.905.5005 x115 or by email with any concerns about this recall. Wang Globalnet has recalled fish cake, fish ball and fish tofu due to possible undeclared wheat and egg. For further information, see the FDA recall. Quality Nut Company of Masillion, OH issued a voluntary recall on certain products due to undeclared allergens. The Sweet and Spicy mix in 2 oz bags contained undeclared wheat. Read the FDA recall notice or contact Quality Nut at 330-327-6161 for more information. 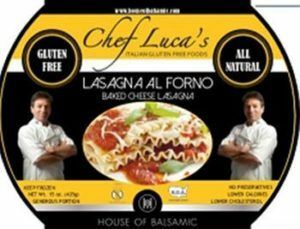 Italian Gluten Free Food has issued an allergy alert on Chef Luca’s Lasagna Al Forno-Baked Cheese Lasagna due to undeclared egg. See the FDA recall for more information, including lot numbers and expiration dates of affected product. Saffron Road Beef Chile Colorado frozen meals have been recalled due to misbranding and containing an undeclared allergen. Products with a Best By date of 05/23/18 may contain cheese enchiladas, which contain milk, instead of Beef Chile Colorado, which does not list milk as an ingredient. Click here for more information. Crispy, crunchy, and yummy! You will impress your friends at the next potluck beach party. Click here to get the recipe.